Are you thinking about custom kitchen cabinets, kitchen remodelling or kitchen installation? If so, Kitchen Land can help you make your dream kitchen a reality. Kitchen Land can design your dream kitchen, remodel your old kitchen or simply replace your old kitchen cabinets with brand new ones. We remodel kitchens and entire homes as well as install kitchen cabinets in Etobicoke, Mississauga, Oakville and Burlington areas. Custom kitchen cabinets and their installation is available in Toronto and entire Greater Toronto Area. 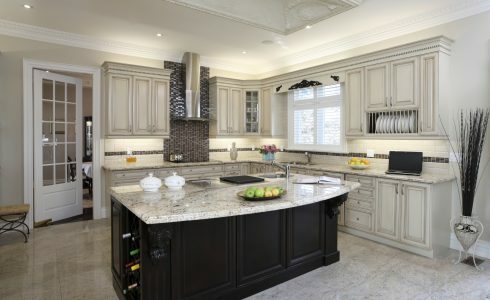 If you are looking for a one stop shop for all your kitchen remodelling needs in Mississauga, Etobicoke, Oakville, Burlington or Milton, we are the experts you are looking for. We provide all the products and all the services needed to complete your kitchen remodelling. Family owned and operated, Kitchen Land has been in business since 2005 and has been satisfying customers from day one. With over ten years experience consistently providing GTA home owners with their dream kitchens and remodelling of their homes they confidently guarantee your satisfaction. There's no need to break the bank account when selecting new countertop. Granite and quartz are strongest of current trend choices for countertop selections. Many of the quartz patterns mimic natural stone patterns plus beveled or raw finish edges give the high-definition look that will have your guests touching it to see it it's real. 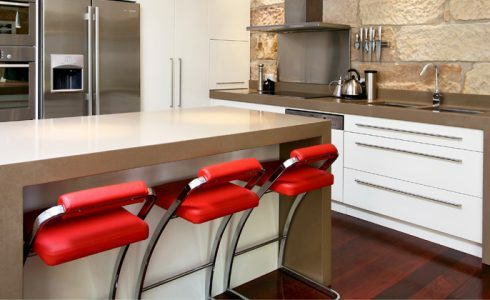 The Ultimate Selection of Kitchen Countertops in Greater Toronto could be found at Kitchen Land. Call us for a free quote on kitchen countertops anywhere in the Greater Toronto Area. Floor is the major element of interior that sets the style of a room. 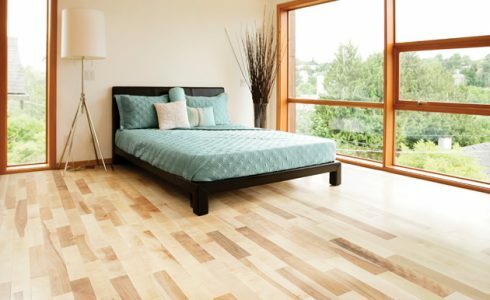 Choosing a new flooring can become a challenging task. A number of flooring options on the market is overwhelming, and it’s very difficult to make a final decision. The significance of plumbing accessories is often underestimated. 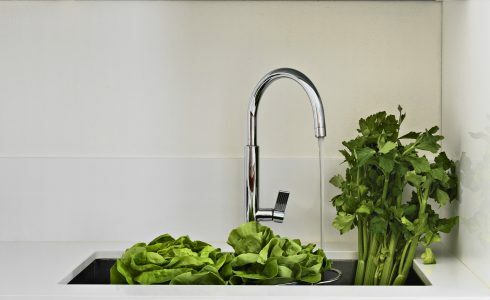 We often do not realize that new set of kitchen taps can provide an unthinkable effect on a kitchen room. Kitchen plumbing supplies are not only barely functional elements, but also an integral part of kitchen design.